There would be a lot of tips to give about what to see in Vermont unusual and special. 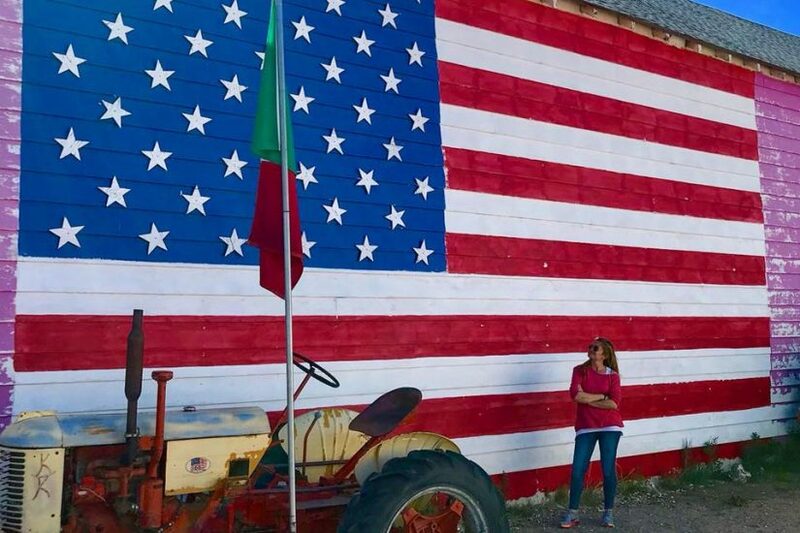 Try to think about the naturalistic paths, the historic small towns, the ancient colonial dwellings, the Inns where to stay and enjoy experiences of “other times” and also a series of activities and discoveries tied to one among the most spectacular and “cultured” states of the New England. I want to recommend a short and charming itinerary in the southern Vermont, few kilometres far from the border with Massachusetts. It can be done also by day -if the time in your hands is short – leaving from the near Stockbridge, Pittsfield, Lenox and Williamstown, the heart of the wonderful region of the Berkshires. An exciting journey discovering the ancient village of Old Bennington, its Covered Bridges, some of the places of the American Revolution, chasing the words and the brush-strokes of two great artists – the poet Robert Frost and the female painter Grandma Moses – who told wonderfully by their own way all the magic, the simplicity and the beauty of the most authentic New England. 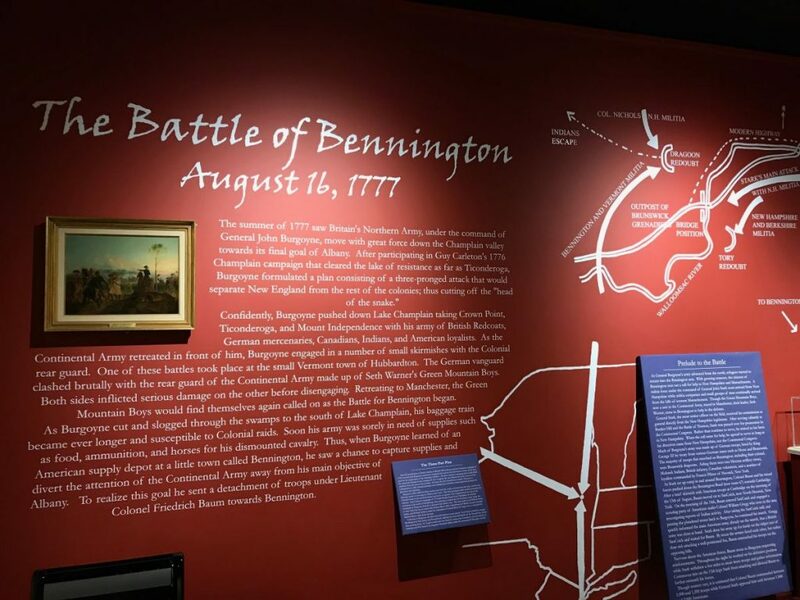 Old Bennington – today little over a village linked to the more modern Bennington – had an important role already during the American Revolution, also known as Independence War, fought by the first 13 American colonies to free from the yoke of the British Empire at the end of the 1700s. 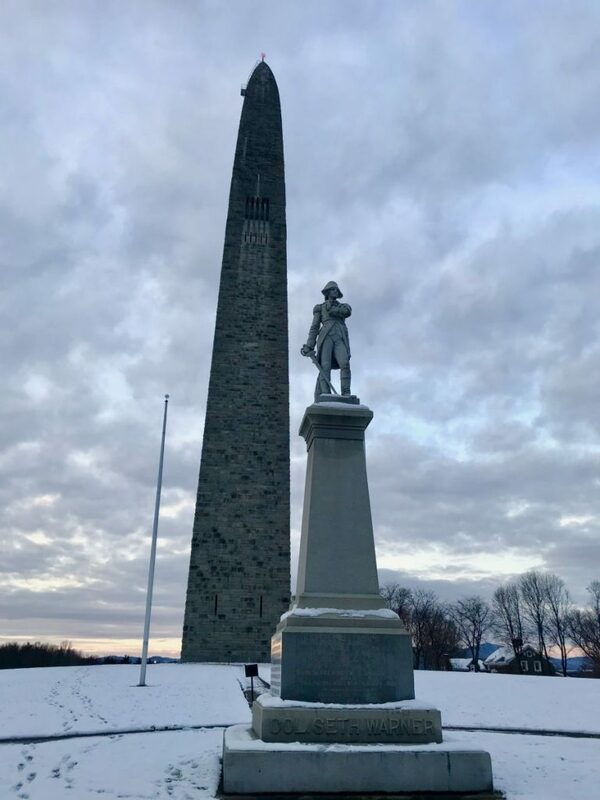 The small town was the theater of a bloody battle whose outcome – above all thanks to the sacrifice of the local regiment of the Green Mountain Boys – forced the English troops a retreat guarantying the freedom to the lands of the Southern Vermont and Western Massachusetts. The Bennington Battle Monument – an obelisk 93 meters high located on the top of the village’s hill where it’s possible to go up and enjoy a wonderful 360° view of the neighboring hills – commemorates the famous battle and hides among the avenues at its feet some among the most beautiful examples of authentic eighteenth century Georgian and Federal style dwellings. Try to imagine the typical white wood mansions of the New England. The patios decorated with flowers and season fruits and comfortable rockers. And the lamps lighted at the windows “from sunset to dawn in order to always show the wayfarers the road to home”. 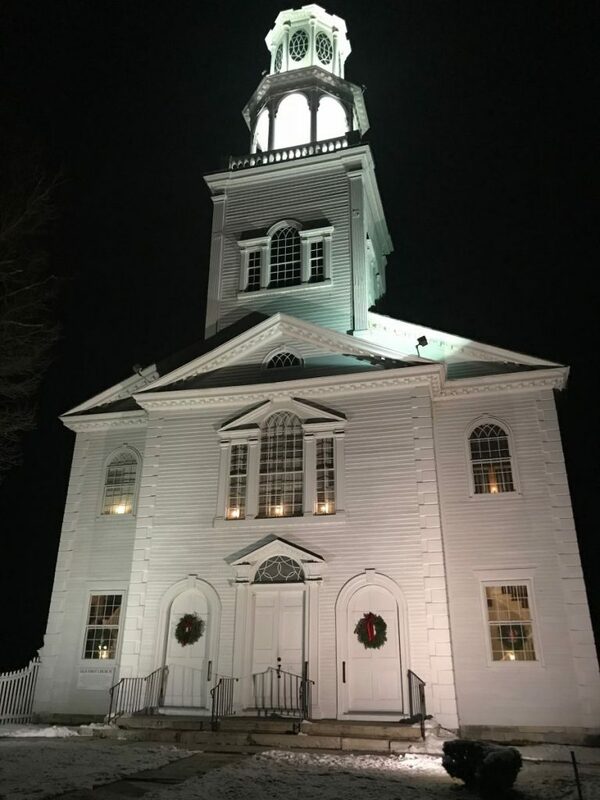 From Bennington Battle Monument, going through the wonderful Monument Ave, you reach the Old First Church, an amazing chapel dating back to the 1800s which hides on the slope of the hill on its back one among the most ancient cemeteries in Vermont. 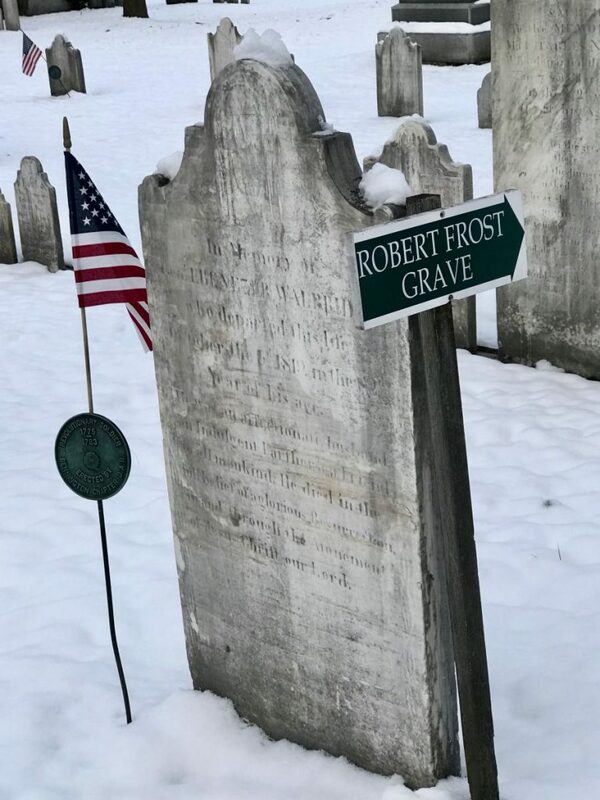 Here, together with the valorous heroes of the American Revolution, lies the poet of America, the greatest American poet – very loved by John Fitzgerald Kennedy – winner of even 4 Pulitzer Prizes, Robert Lee Frost. The poet of life and beauty inborn in every aspect of the nature, the narrator of the essence and the magic of the New England, beloved land where he chose to live and die. 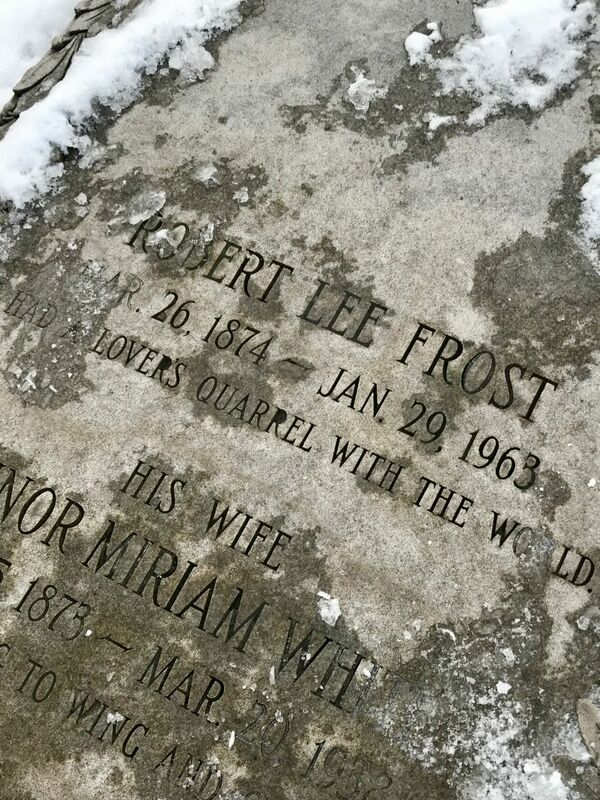 On his grave a quote that himself asked to put as epitaph at his death is engraved. He, his life, his poetry in a sentence. Little far from Old Bennington at 121 VT-7A, Shaftsbury it’s possible to visit the farm dating back to 1769 where Robert Frost lived when he was in Bennington and where he composed many of his most famous poems. 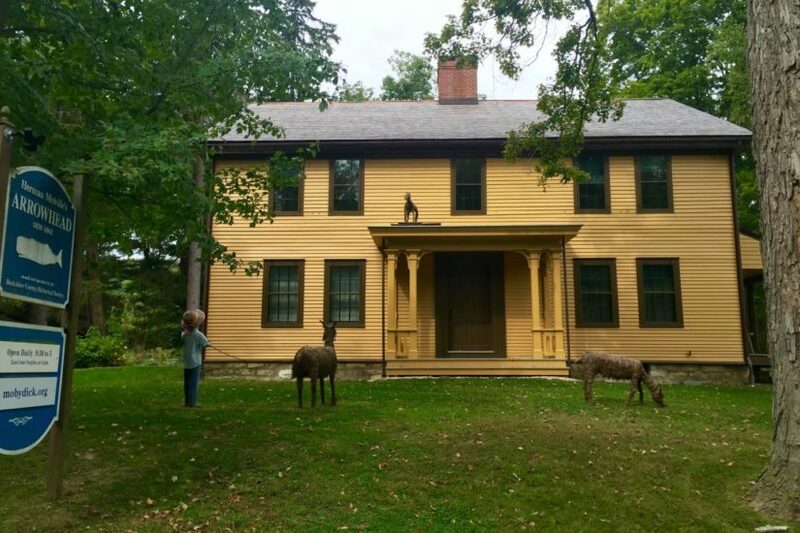 Today it’s a museum keeping relics, writings and memories tied to his existence and his art, the Robert Frost Stone House Museum. 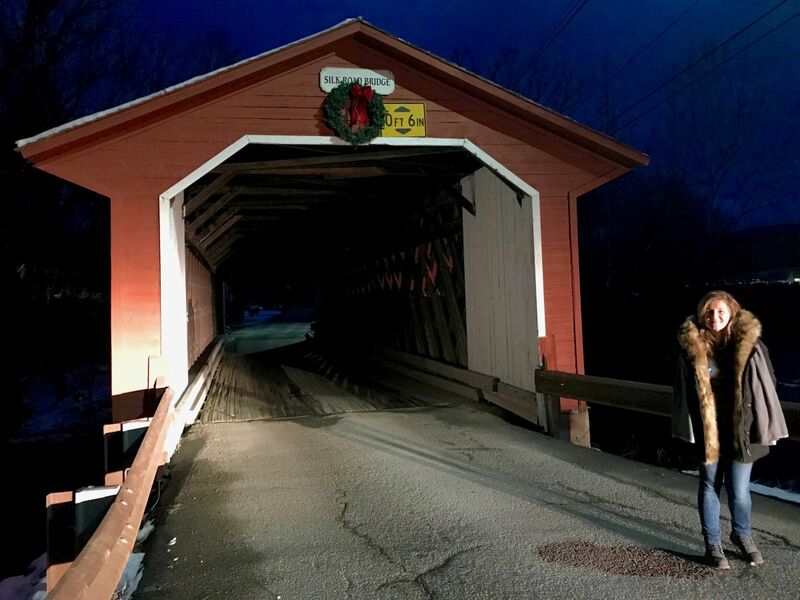 The Silk Road Covered Bridge is a suggestive covered bridge dating back to 1840, built on the old Silk Road following the Walloomsac River flow. 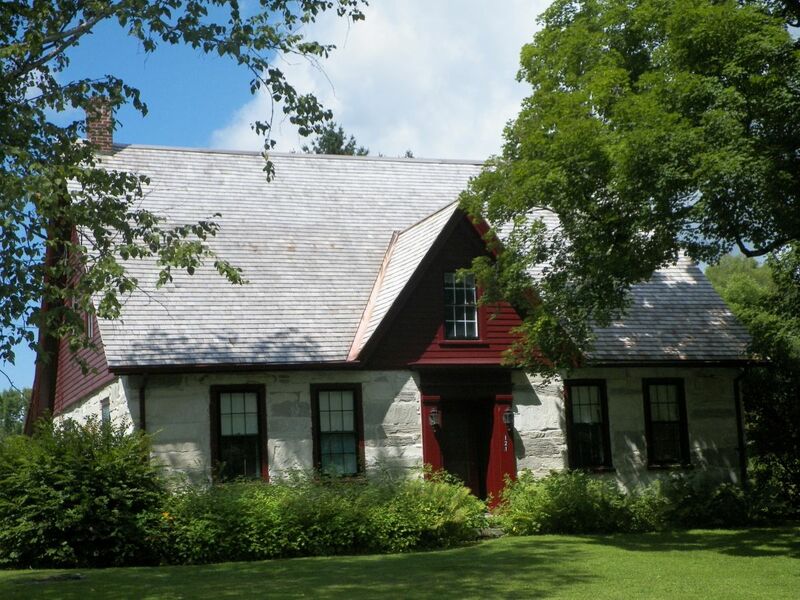 It is located in Silk Road, half way between Old Bennington and the Robert Frost Stone House Museum and since 1973 it has been added to the National Register of the Historic Places in Vermont. The bridge – perfectly preserved – probably was built in 1840 by Benjamin Sears, who came from a family of builders of the region. To him also the building of the Paper Mill Village Bridge in Murphy Rd and the Burt Henry Covered Bridge at 34, River Rd in North Bennington is credited. Three authentic covered bridges on the same river in just three kilometres. If you have more time in your hands, my tip is to have a short tour to see (and take photographs of) them all. 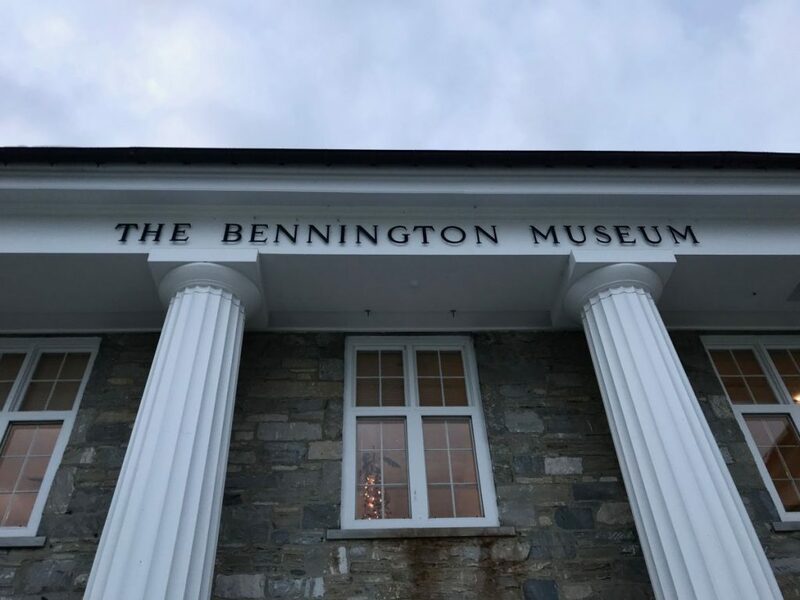 From the hill of the Old First Church keep going downhill along Main Street you reach the last very important stage of this short and intense itinerary, the Bennington Museum. The museum keeps one of the most incredible and variegate collections related to the American Revolution period, furniture, daily furniture objects, paintings, toys – among them a stunning collection of ancient dolls – and relics of the Independence War. 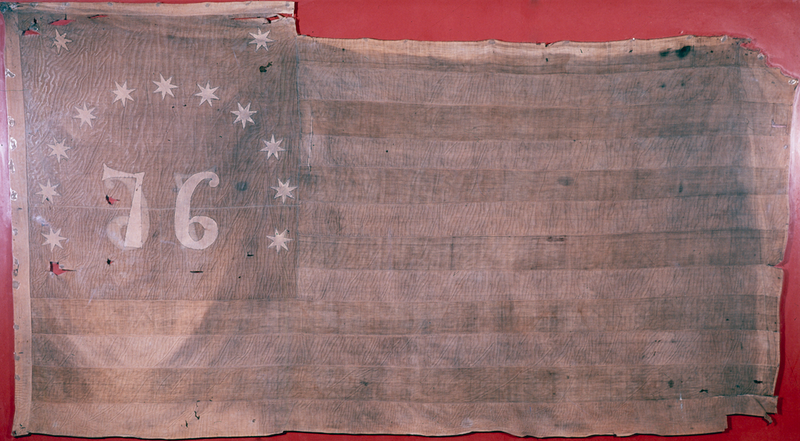 Among all stands that one today it seems to be the most ancient flag used during the American Revolution. It’s considered one-of-a kind also thanks to the use of white stripes for the external bars and the disposition of the seven tip stars with the number 76 in the center. 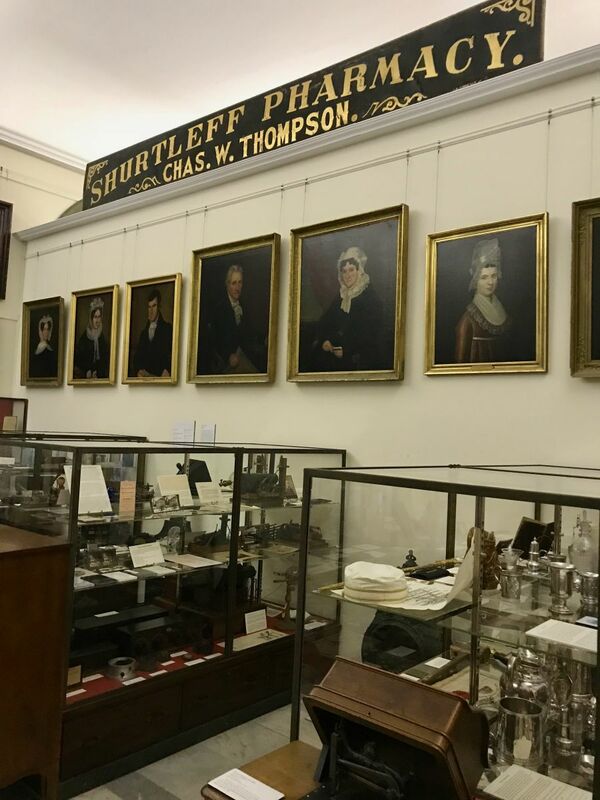 A mention apart deserves the amazing section of the Bennington Museum dedicated to Grandma Moses, known as Anna Mary Robertson Moses, an American folk female painter (great friend of Norman Rockwell), lived between the middle 1800s and 1900s and beloved in the United States. Even if you don’t remember her name you’ll recognize certainly in her paintings the exciting scenes of rural life and the lively representatives in the New England. Like in Sugaring Off, dating back to 1955. My favorite one by far. The painting gives a wonderful and realistic stop-motion of the daily life in a New England: village: the moment of the harvesting and preparation of the maple syrup in Winter. 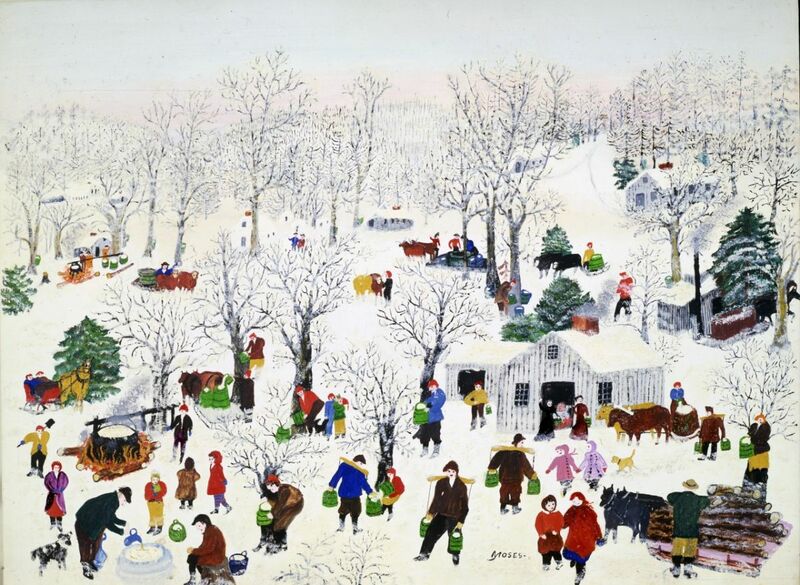 Remember that it is not possible to take photographs of Grandma Moses’ paintings present at the exhibition. The photo above was kindly given by the Bennington Museum with the request to add the credits below. 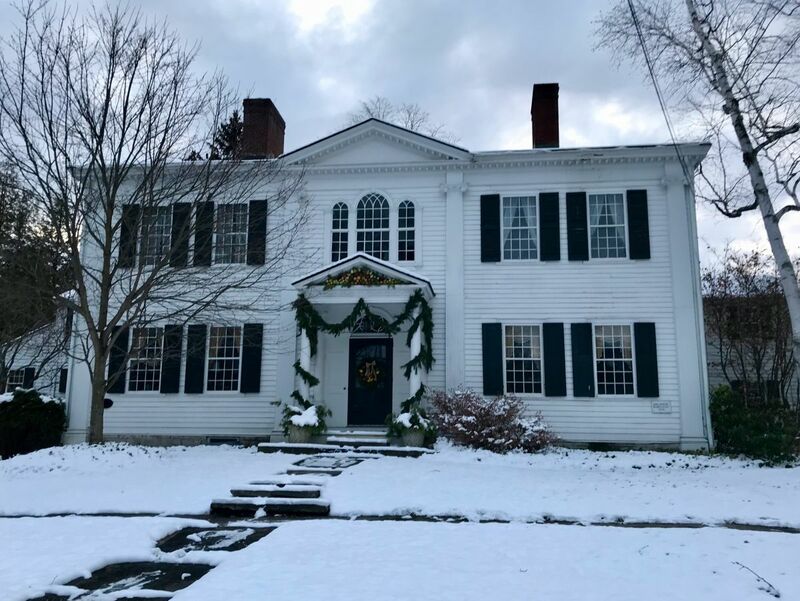 Hey Buddy!, I found this information for you: "What to see in Vermont: a short itinerary discovering Old Bennington, Robert Frost’s places and Grandma Moses’ paintings". 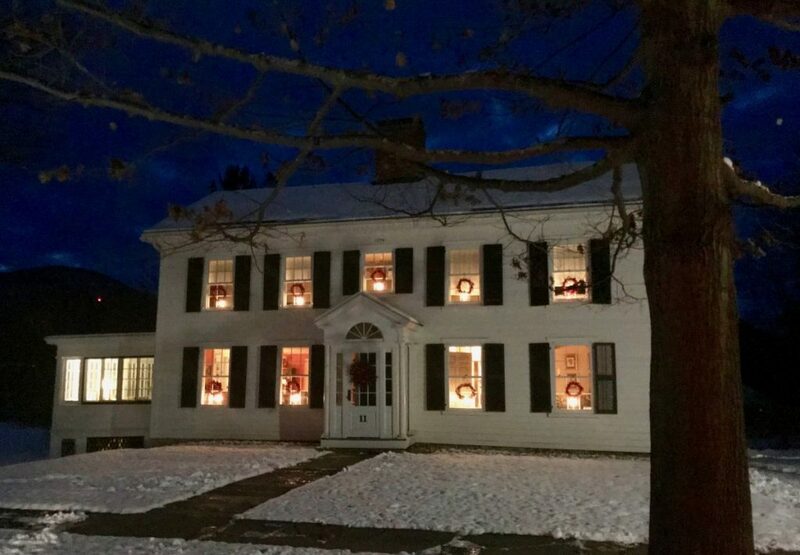 Here is the website link: https://www.simonasacri.com/en/americas/united-states/new-england-us/what-to-see-in-vermont-old-bennington.php. Thank you.